This article was recently published in the Emotional Buzz newsletter, so I thought I would share it here. Grief and the Loss of a Child. The loss of a child is one of the most painful things that can ever happen to a mother. Grief and bereavement can be some of the strongest most painful experiences people have in life. Although many people think that time heals, it does not always. Instead we often develop strategies that enable us to live our lives avoiding the pain that lies inside. If there were no consequence to this there would be no reason to ever work on it. You could get on with your life. However this isn’t the case.when we suppress emotion or simply avoid it, it begins to impact our health, for example it can lead to physical illness. In fact in a follow up with the mother who wrote the article below, after this session and a few others we did as a life MOT (Overhaul of the belief and emotional system) the client found that several physical problems cleared without her directly attempting to tackle them. One of these issues was psoriasis. Another was a physical issue with her neck, one which she had had a lot of treatment for, but which had not shifted until she dealt with her unresolved emotions. One of the most interesting things about the work done with Inner RePatterning is that it does not require you relive past experiences. Neither does it require that you talk about the past or access your emotions. This means that Inner RePatterning can generally be a very gentle technique for dealing with issues. When we lose someone close, it can have a devastating effect on us; when that person is a child, our child it can amplify the profound sense of loss to the greatest level. It can be devastating! Although it is said that time heals, quite often it doesn’t, with time we often learn to push the hurt and grief deep, so we avoid facing it. From this deep recess it can linger forever remaining as raw as the day the grief occurred. As it festers below the surface it can and does impact us in many areas of our lives. Grief is resolvable. This is the story of a mother who resolved her grief and replaced it with joy and happiness. Inner RePatterning is a gentle, mindfulness, energy therapy technique. It does not require that you tell the story of what happened or get into the emotion of the trauma you have experienced. 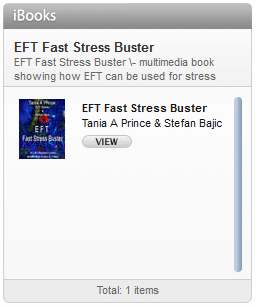 Instead it works by helping you access a state of coherence (heart/ brain) and balance within. Then by using a form of mindfulness and the power of intention take you through a gentle process of release. I use the word release here, but release can occur in a gentle way. I point this out because many people believe that in order to release emotion they need to have a cathartic experience involving crying and strong uncomfortable emotions surfacing. This is not so, I have seen many people release powerful emotions without discomfort. Below is the story of a mother who lost her child. For twenty five years she had buried her grief. In her own words she talks about the experience of a one hour session of using the Inner RePatterning process. This was a profound session; I feel absolute gratitude being part of this wonderful experience of reconnecting with joy and happiness. I would like to share this story. A story of releasing trauma and cherishing the life that was. “25 years ago, the worst thing that ever can happen to a parent happened to me. I outlived one of my children. She was a beautiful 4 month old baby that became a victim of the cot death syndrome. The pain was excruciating. Nothing could ever prepare you for it and nothing seemed to help. I had a 3 year old son who needed his Mum to function, so I had to drag myself through the pain of living, day by miserable day. 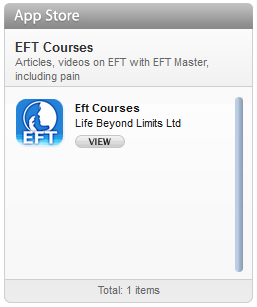 Over the years I became an expert at burying the pain deep down in the very core of my being. It was 10 years before I managed to even speak about it in any detail. But even then, when I did, I would quickly bury it again as the pain was as raw as the day I found her – the day I believed I would never be truly happy again. But then, 25 years later, I met a lady called Tania A Prince. 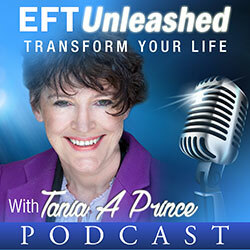 In 1 hour, Tania, with the use of Inner RePatterning, took that pain and replaced it with something beautiful. 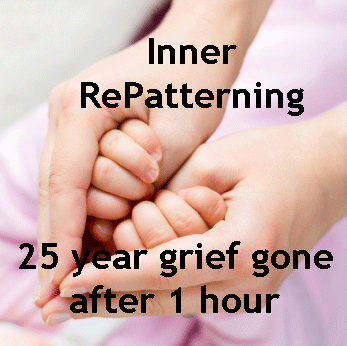 In a very peaceful and pain free experience, Tania and the Inner RePatterning took away the pain, took the emotion out of the trauma and left me with the most wonderful memories, unspoiled with the ripping pain of grief, guilt, sorrow and the most dreadful mourning. In that single hour – my core went from being grief-stricken to being filled with love and joy and the most wonderful tenderness towards my beautiful daughter. I now think of the amazing memories I have of my time with my child and sometimes laugh out loud with the pure joy of those. I now hug her in my mind and that hug is full of love – not sorrow. The very next day I visited the place where her ashes were scattered– a place I had been unable to bring myself to go to in those 25 years. Wow. Words can hardly explain. For the first time in 25 years – I really talked to her, felt her with me – dared to feel my love for her again. There was no pain – just love. Oh yes, and the obvious regret I had not known the power out there to have helped me through those long 25 years. Note: I do think it is important to point out, that although this session took only one hour, there is no guarantee implied. People are different. This story is of one person’s personal experience.